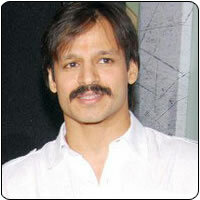 Bollywood star Vivek Oberoi, fresh out of the success of Raktha Charithra, will tie the knot with Bangalore-based Priyanka Alva today (October 29th, 2010). Priyanka is the daughter of late Karnataka state minister Jeevaraj Alva. The wedding ceremony will begin at the Alvas’ residence at 8:30 am in Bangalore followed by a reception at the Chancery Pavilion in the evening. The Karnataka Chief Minister Yedurappa, apart from a host of politicians and film personalities, will grace the occasion. The actor will throw a reception for his Bollywood friends on Sunday in Mumbai.